My Friends Make Me Happy! (The Giggle Gang) (Hardcover) | novel. Can you guess what makes Sheep really happy? Here's a clue . . . it starts with the letter F. It is NOT fish or fans. And it is especially not turnips! That doesn't even start with the letter F! 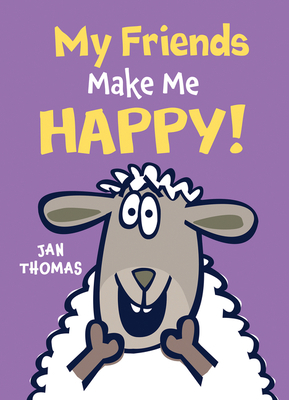 Featuring Jan Thomas’s wonderfully wacky humor, rowdy repetitions, and hilarious characters, this book is sure to have young readers laughing out loud!